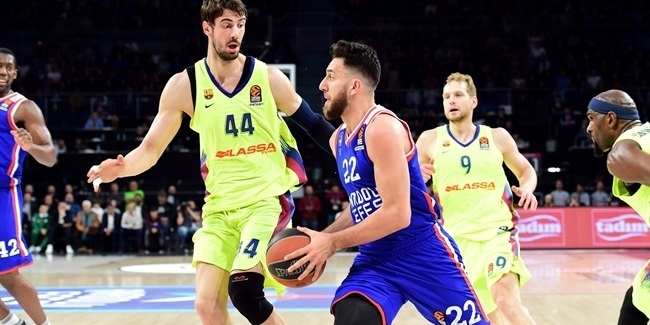 With his team in early must-win mode, Alexey Shved returned from illness to lead Khimki Moscow Region to an 85-69 win over Buducnost VOLI Podgorica and, in the process, earn the MVP honor for Round 8 of the Turkish Airlines EuroLeague Regular Season. Shved netted 22 points spurred by 4-for-9 three-point shooting and dished 7 assists. Shved shattered his personal best with 7 rebounds, and also had a steal and 5 fouls drawn for a performance index rating of 30. It is Shved's first MVP honor this season and the fifth of his career. 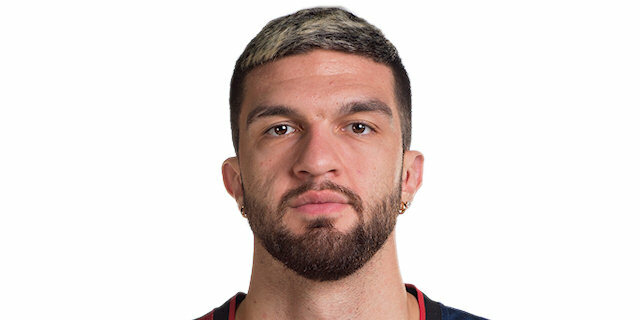 KIROLBET Baskonia Vitoria-Gasteiz center Vincent Poirier had the same index rating of 30, but in a losing effort against AX Armani Exchange Olimpia Milan. Poirier collected 18 points, 10 rebounds, 2 assists, 1 steal and 1 block. 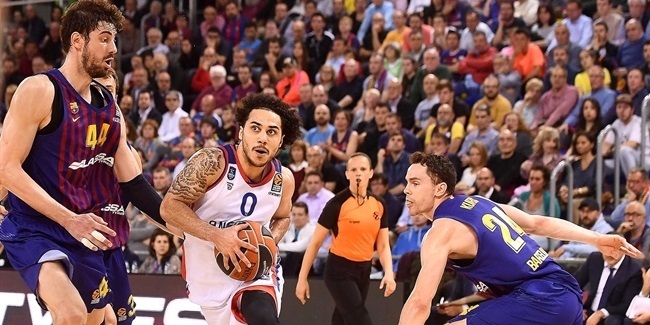 Two CSKA Moscow teammates, Will Clyburn and Sergio Rodriguez, had PIRs of 27 in an overtime win against Zalgiris Kaunas. Rodriguez posted 24 points, 6 assists, 2 rebounds, 2 steals and 1 block, while Clyburn had 15 points, 13 rebounds, 2 assists and 1 steal. In that same game, Zalgiris center Antanas Kavaliauskas accumulated his career-high PIR of 26 behind 19 points, 8 rebounds, 2 assists and 7 fouls drawn. 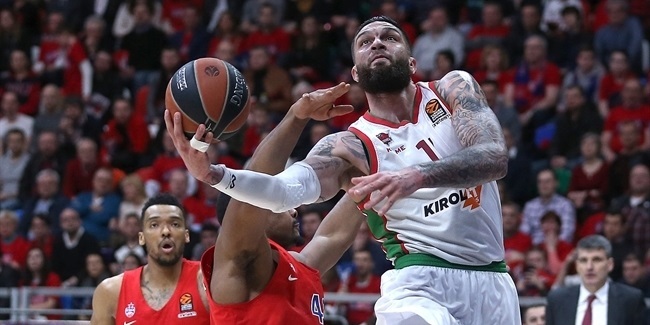 Two more players had PIRs of 26 this round: Khimki's Jordan Mickey, with 17 points, 8 rebounds, 2 steals and 1 block; and Real Madrid's Anthony Randolph, with 20 points, 10 rebounds, 2 assists and 1 block. Rodriguez was the top scorer in Round 8 with 24 points. Shved, who scored 22, has the highest average points, 25.3, this season. Clyburn's 13 rebounds against Zalgiris were the most in this round, and he ranks first overall at 7.8 per game. 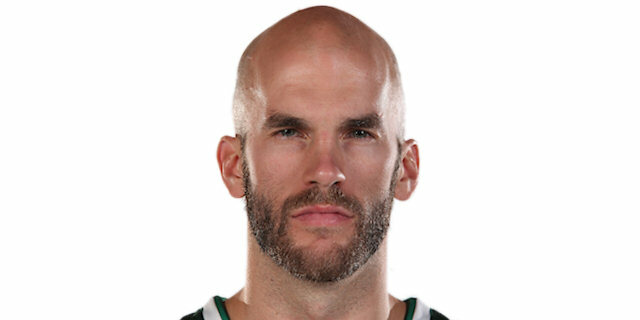 Nick Calathes of Panathinaikos OPAP Athens dished 12 assists against FC Barcelona Lassa, keeping first place in the standings, now at 9 per game. 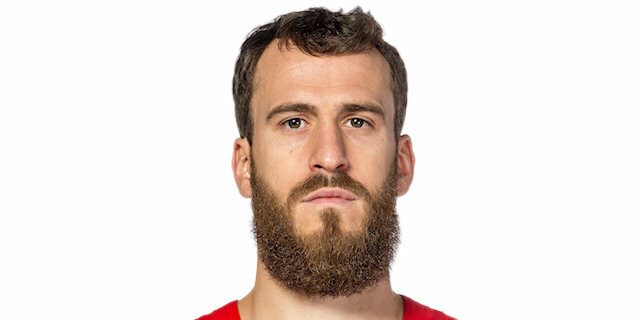 Rudy Fernandez of Real Madrid, Ante Tomic of Barcelona and Vladimir Lucic of FC Bayern Munich each collected 3 steals in this round. Calathes and Stefan Jovic of Bayern tie for first place overall with 2 steals per night. Edy Tavares of Madrid had 4 blocks in this round and has a league-high 2.3 on average. Clyburn, Poirier, Randolph and Zach LeDay of Olympiacos Piraeus (12 points, 12 rebounds) each registered a double-double in Round 8.